With the vast selection of plants and container sizes, placing an order from a nursery can seem overwhelming. Don’t worry, Millcreek’s dedicated staff is here to help guide you through the ordering process. If you would like to set up an account with us, we require either a Nursery Dealer Certificate or Nursery Inspection Certificate as well as a Vendor’s License (if you will be tax exempt). Please complete our New Customer Setup form and return to us by email to get started! We welcome you to contact us if you have questions about becoming a customer. Are you more than 250 miles from Millcreek? While we welcome new customers from areas outside of our 250-mile delivery radius of Columbus, Ohio, orders placed from customers outside this area are generally for pickup only at Millcreek, unless we are working with you on a Custom Grow order. We do not ship FEDEX or UPS. All orders are processed in the order in which they are received. Order early for best selection! All orders are subject to Availability, which is always changing. Order early for best selection! A Tentative Shipping List or Order Acknowledgement will be sent to you via email or fax to confirm your order. All Invoices will be emailed, unless we receive a special request for fax or postal mail. Ordering is easy! We offer two types of orders. For plants you would like shipped or picked up in the Current week, order using our Weekly Availability List. A Tentative Shipping List will be sent to you via email (or fax) to confirm your order. To order for delivery or pickup for a specific date in the future, you may place a Pre-Book Order using our Digital Order Form. We will reserve your plants and send an Order Acknowledgement to you. Pre-Book Spring Orders must be placed by March 1, 2019. Please contact us to request the Digital Order Form, which is only available until March 1st each year. Multiple ship dates are accepted. Pre-Book Spring Orders will be shipped in their entirety (subject to availability) on the date(s) you specify. The best way to submit your order is via email. You may also FAX your order, or call us toll-free during business hours. Order minimums are based upon distance from our Nursery. For orders to be PICKED UP at our nursery, there is no minimum order. Please order in full flats. Pack Quantity minimums. Orders to be delivered that include partial or mixed flats or orders for delivery that include less than 5 pots of some larger container sizes are subject to a special handling charges during March, April, and May. Specific details are listed below under Pricing. Prices are listed only on our Availability List or Digital Order Form. 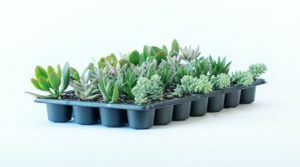 Prices listed are the “per pot price” for full flats of a single variety or 5 pots or more per variety of certain larger pot sizes sold individually. Royalties are included in the sales price. Please order in full flats. Orders to be delivered that include partial or mixed flats are subject to a special handling charge of $.50 per pot during March, April, and May. Orders to be delivered with less than 5 pots of each variety that are purchased in the following container sizes are subject to special handling charge of $.50 per pot during March, April, and May: PRO#1, IMPACT. The following sizes do not have a required minimum order quantity per variety: PRO #2, 2 GAL, PRO #3, 3 GAL. Discounts apply to plant material and products only and do not apply to any additional Services. Discounts will not be given for orders from customers with overdue balances. All orders are accepted subject to plant availability, which is always changing. 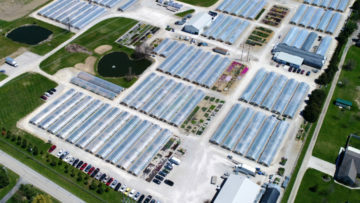 Customers who wish to purchase plants at wholesale prices from Millcreek Gardens LLC must provide a valid Nursery Dealer Certificate or Nursery Inspection Certificate, and a Vendor’s License. All sales are taxable unless we have a signed State Exemption Certificate form on file. All sales are on a “cash on delivery” (COD) basis unless a credit account has been established. For customers with a credit account, our terms are NET 30 days from the invoice date. We accept cash, check, American Express, Discover, MasterCard, and VISA. Prices are FOB our nursery in Ostrander, Ohio, and are subject to change without prior notice. Customer accounts with checks returned for non-sufficient funds will be assessed a $35.00 fee. The customer acknowledges acceptance of these terms of sale when the customer places an order or applies for a credit account. In the event an account remains unpaid 30 days after the invoice date, the customer shall pay a service charge of 2% per month, and reasonable attorney fees and collection costs relating to enforcing our rights under these terms of sale. Credit Accounts that remain unpaid 60 days after the invoice date will automatically become CODE accounts, and a new Application for Credit may be required to verify credit status. The customer agrees that these terms of sale and any order placed by the customer are governed by Ohio law, and the customer further agrees that Union County, Ohio has jurisdiction over any and all disputes that may arise hereunder.